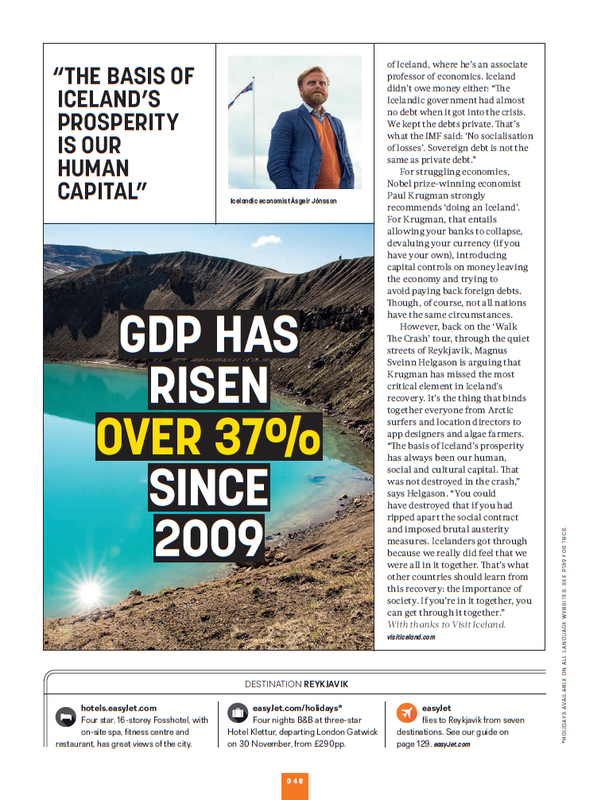 This entry was posted on October 1, 2015, in Easyjet Traveller. Bookmark the permalink. It was only a matter of time before Iceland went bust. For decades, the people on this volcanic island in the middle of the Atlantic had made their money from fishing and aluminium smelting. Then, in the 2000s, they started making money from international finance. Lots of money. By 2007, Iceland’s three biggest banks were worth $140bn, 10 times the size of the country’s economy. The banks pulled this off by promising unrealistically high rates of return to foreign clients and buying up companies, real estate and even football clubs around the world. There was no way they could keep paying their bills and so, on 6 October 2008, the whole house of cards came crashing down overnight. Billions were wiped out in the flicker of a computer screen as the global financial crisis took hold. Not that you’d notice walking around Reykjavik today, where an army of cranes pluck the city into new shapes. On Laugavegur, the main drag, tourists pose with Vikings and trolls, while restaurants lure in hipsters with gourmet hot dogs slathered in pulled pork. At night, the bars throng with Icelanders taking great pleasure in introducing their visitors to Brennivín, the powerful local schnapps. Clinking glasses punctuate spirited chatter. And the reason for the cheery scenes? Instead of licking their wounds, this country of 329,000 people took it upon themselves to find a fix, creating a blueprint for how to plot a 21st-century economic recovery in the process. Magnús Sveinn Helgason is a great example. As a financial journalist and member of Iceland’s Althing Special Investigative Commission on the Collapse of the Financial System, Helgason has had a front-row seat for the whole ride. Nowadays, he gives ‘Walk The Crash’ tours of Reykjavík, where he helps visitors understand how the banks went down and how the country got back up again. Tourism has played a huge part in this success story. 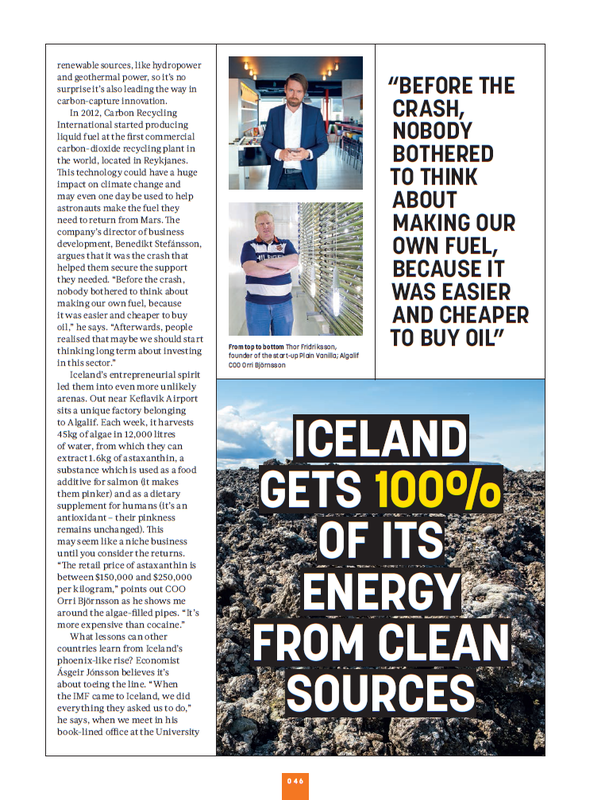 In fact, last year, it became Iceland’s biggest industry – overtaking fishing – and you can see the results in the place we’re staying. Slap-bang in the business district, the Fosshotel Reykjavik is the city’s biggest hotel, with 320 rooms. Since opening in the summer, its been operating at near full capacity. 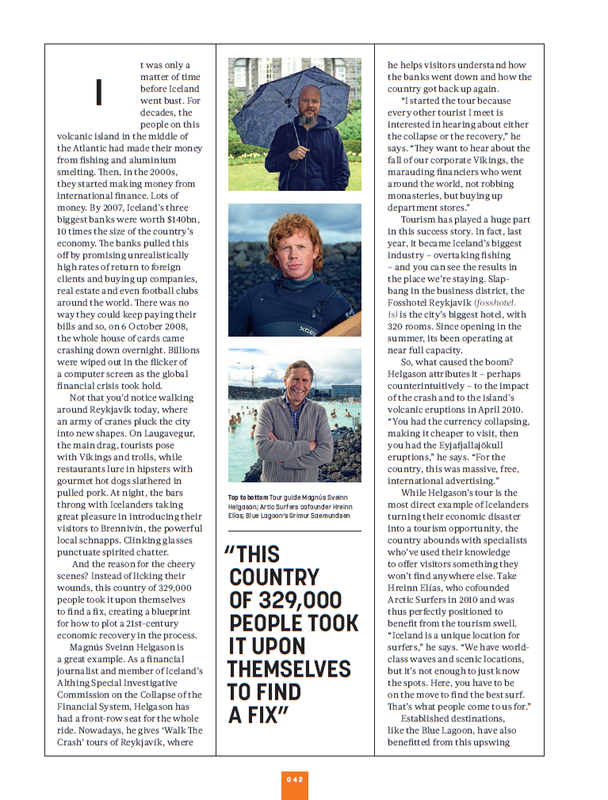 Mingling among the tourists heading to Iceland since the crash have been some of Hollywood’s top directors. Prior to 2006, only three foreign films had been shot in the country. Since then, it’s provided locations for almost 20, including Christopher Nolan’s Batman Begins and Interstellar, Ridley Scott’s Prometheus and several seasons of Game of Thrones. As well as the locations, film studios also come in search of technical expertise. Daði Einarsson opened a division of visual-effects studio Framestore in Iceland shortly before the crash in 2008 and was able to buy the company out to form independent studio RVX in 2012. They’ve since provided effects for films including 2 Guns and this year’s mountaineering epic, Everest. 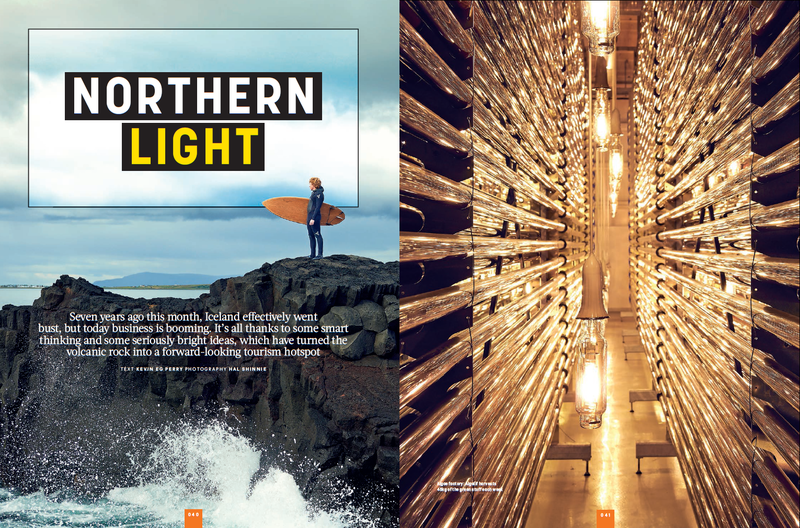 It’s not just in entertainment and arts that Iceland’s entrepreneurs have flourished. The country already generates all of its electricity from renewable sources, like hydropower and geothermal power, so it’s no surprise it’s also leading the way in carbon-capture innovation. For struggling economies, Nobel prize-winning economist Paul Krugman strongly recommends ‘doing an Iceland’. For Krugman, that entails allowing your banks to collapse, devaluing your currency (if you have your own), introducing capital controls on money leaving the economy and trying to avoid paying back foreign debts. Though, of course, not all nations have the same circumstances. 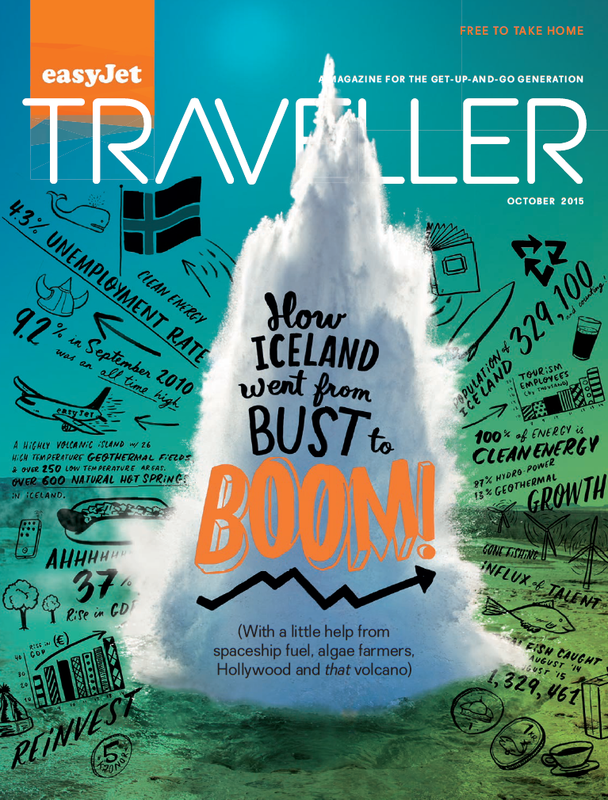 Cover feature for Easyjet Traveller, October 2015.